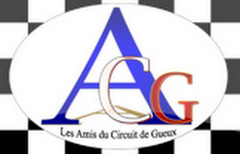 Reims-Gueux was first established in 1926 on the public roads between the small French villages of Thillois and Gueux. The circuit had two very long straights between the towns, and teams strove to maximize straight-line speed of their cars; many slipstream battles ensued. Race organizers actually felled trees and demolished old houses in order to make the circuit even quicker. In 1952, the circuit was significantly altered to bypass the village of Gueux, and many people now refer to the course as simply Reims. In 1997, there was to be a historic race held there, but for technical reasons, it was canceled several months before it was due to take place and in 2002, the bulldozers arrived to demolish some portions of the track. Sections of the track around the pit lanes are still visible today. Nothing has been shared for Reims-Gueux yet.